With 2018 hitting the ground running with storms, social storms and more AI, it is essential to recognize the trends that will play a crucial role in shaping the Travel industry. Looking back on 2017, it was quite a pivotal year for Travel with the adoption of new digital technologies like Chatbots, RPA and AI hitting critical mass. The evolution from a “demand-driven” to an “on-demand” industry was triggered by this digitization. In 2018, this evolution will be facilitated via smart connectivity through AI, RPA and machine learning to build a personalized value ecosystem, with service-based customization across devices and platforms. That includes OTA, Airlines, Hotels, Car Rentals and Airports looking to prioritize their efforts and investments towards these changes. Technology has never held more purpose or promise for the travel industry: One veritable impact of 2017 that we’ll see in 2018 is that it’s set the ground for more automation, more transparency and connectivity in terms of – owning the data, owning the experience, owning the journey, owning the process and owning the traveler. I’ll summarize trends that will primarily be significant across five verticals –airlines, OTAs, cruises, hospitality and airports. 1) AIRLINES: The key trend for Airlines in 2018 is a heady cocktail of AI, Mobile, Robotics and Smart agents. Aviation’s singular aim is to drive a seamless and convenient passenger experience across various touch-points. 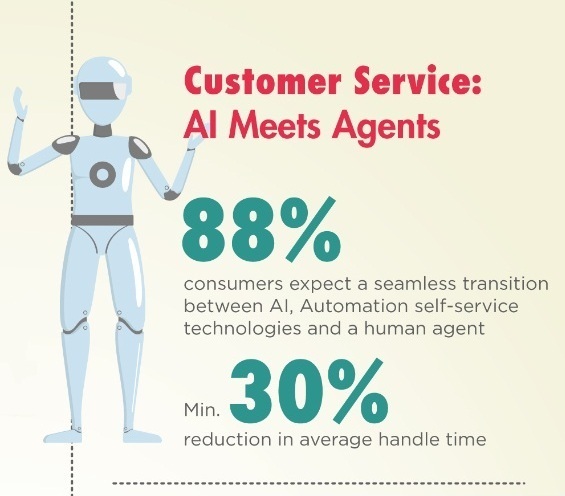 While digital contact centers and omni-channel customer service have been vital in leading this change, the seamless connect between agents and AI is missing. Studies state that 88% consumers expect a seamless transition between automated self-service technologies, and a human agent when booking, purchasing a product, or contacting customer service. Human agents—or IAs (intelligent agents) complementing AI and RPA—are essential to differentiate airline customer service in 2018, where airlines own the chain of experience. AI tools offering dynamic pricing options will play a bigger part in the airline industry in 2018. For airlines and customers, AI pricing tools can autonomously adjust prices of flights depending on demand, weather, seasonality etc. Marketing automation will also be used to personalize messages further—a trend that is already visible in emails and pop ups reminding passengers to return to their abandoned cart. For large legacy airline carriers- a lot of analog data has started moving to digital platforms and will open huge possibilities with blockchain technology in distribution, aircraft maintenance, ticketing and loyalty arenas. Further from recommendations and videos, immersive experiences can give a 3D view of a location, hotel, activity or inside airlines. 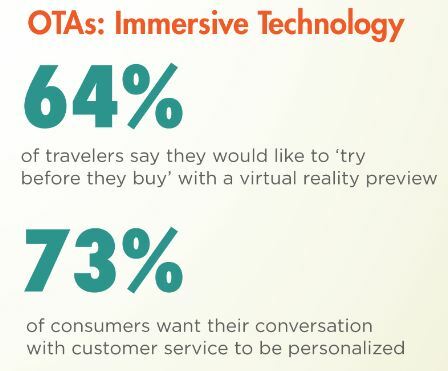 Virtual reality is big plus for OTAs looking to simplify booking, with ‘try before you fly’ recommendation for travelers. Messaging platforms like Whatsapp will further come into forefront for engaging, up-selling and communicating with customers. You can expect OTAs reaching out upgrade rooms and even pick seats and making payments through messaging platforms as integrations become common place. 3) CRUISES: Cruises are riding the IoT and AI wave this year with complete control with wearable devices. With RFID or NFC capabilities, these devices are revolutionizing end-to- end cruise interactions and experiences. 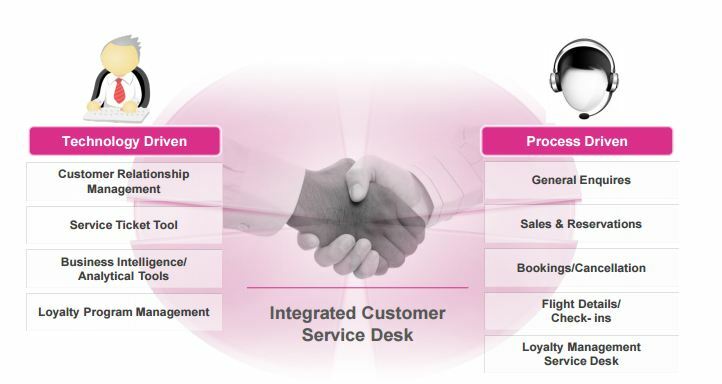 From room keys to temperature control, booking activities to personalized recommendations, reservations to vouchers, wearable technology brings whole new level of managing, monitoring and owning the guest experience. available to customers. 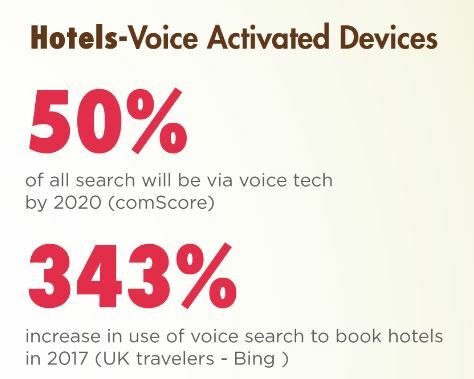 In turn, voice search is a top travel trend that is quickly being implemented by the hospitality vertical. Hotels guests can communicate with hotel staff via Alexa, with Amazon Echo devices in the rooms, converting them into smart rooms. From setting personalized alarms or room temperature, getting traffic details, or finding information on the weather is some of the ways it can help put the power in the hands of the guest. Importantly, it creates a digital profile inputting guest preferences, journey plans and in-destination activities for improved hotel experience, where hotels own more in-depth guest data. In fact, a hotel in Japan is getting fully staffed by robots- from front desk to waiters and such experiments are paving a way for paradigm shift in hospitality approach and definition. 5) AIRPORTS: A leading trend in 2018 will be biometrics for Airports, as upsurge in traveler influx pushes for increased security and threat identification in the quickest possible time, while freeing up passenger bottlenecks. 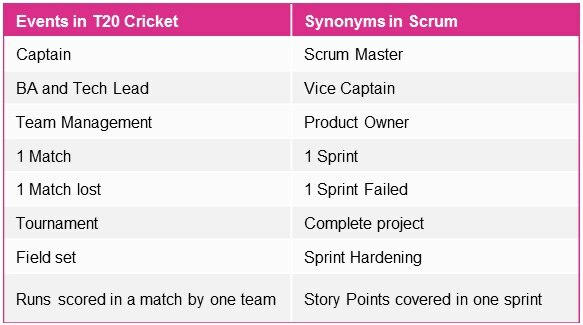 Today, approx. one billion electronic passports are in service globally. We are at the precipice of a biometrics enhanced security and check-in process. Some recent examples are Air New Zealand’s biometric bag drop, Changi Airport plans to use biometrics to expedite passenger processing at key touch points and Air Alaska’s biometric boarding passes. Airports in near future will own the seamless and secure air travel process. In conclusion, the one common denominator in all these trends is how they help travel companies own and lead the experiences by bringing greater transparency, automation and digital transformation to the business. We function in an extremely competitive and dynamic environment where seamless and quick turnaround to communications, bookings, crisis and competition makes the difference between profits and losses. In other words, immersive, automated and personalized travel across touch-points is the destination every travel brand wants to reach. And technology is a key component of success in 2018. Raja Jain is a business leader, entrepreneur, mentor, friend, parent, husband, traveller, reader & researcher (..not necessarily in this order). 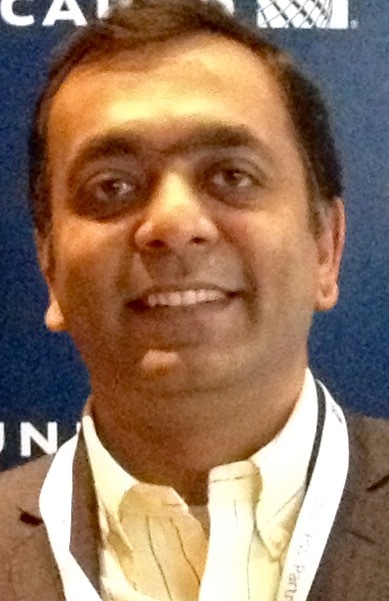 As Vice President for US and Canada markets, Raja leads Sales & Account Management initiatives for IGT. Raja brings a rich experience of over 20 years with Travel and Outsourcing industry with companies like Carlson Wagonlit, American Express, Makemytrip.com, Ebookers and EXL Service.